On my lunchbreak from work the other day, I ended up at the mall and bought myself two pairs of pants. Both were seriously reduced due to end of season sales. 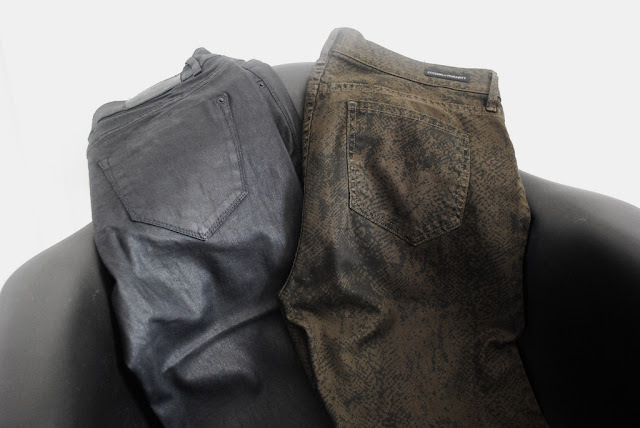 The first pair of pants is Zara's Coating Trousers (photo below, pants on left). They were marked down to $15.99 from $59.90. Woohoo. The second is my very first pair of Citizens of Humanity jeans (photo below, pants on right)! I was so excited to have found these! They are the Mandy Snake Print Skinny Jeans. I got them from Aritzia (they aren't on the Aritzia site, hence the shopbop link). They were marked down to $60 from $230!!!! And they actually had one left in my size!!!! I could never afford a pair of Citizens of Humanity jeans at regular price so this was just awesome! Next is a deal for Isabella. Her feet are huge (size 2, soon to be size 3). 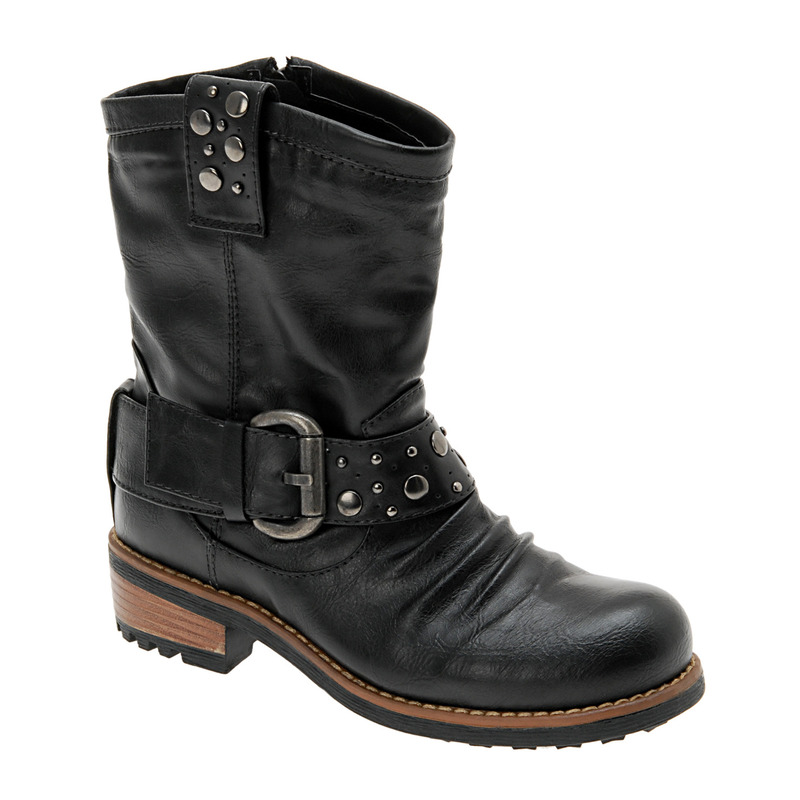 I found the Wasson boots below on the Aldo site. $55 down to $19.99! My sister was ordering a few things from Aldo so I told her to add these boots to her purchase. I should get them sometime this week. They are going to look so cool on Isabella! Nice finds Julia! Love the boots! Funny, Madison was all decked out in Isabella wear today (and most other days for that matter, lol)! Thanks Sabrina! Kim got the boots today and she conveniently has a meeting in our building tomorrow so she's going to come by my office and drop them off. Yay Madison! Glad to know the clothes are getting lots more wear!